Rob Westall, a former journalist turned singer/songwriter, releases his debut Christian & Gospel album 'Born to Worship' this month. LTTM chatted with Rob about how he got involved in music and where his songs come from. 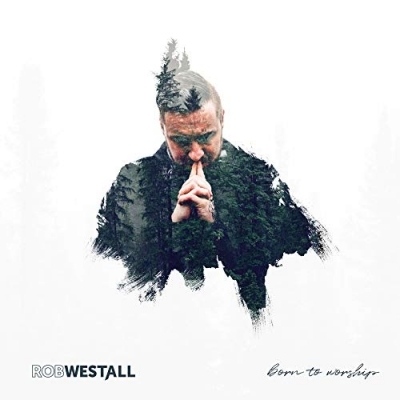 Read More Rob Westall, a former journalist turned singer/songwriter, releases his debut Christian & Gospel album 'Born to Worship' this month. LTTM chatted with Rob about how he got involved in music and where his songs come from. I am married to my beautiful wife Anna and we have three small children - Isabella, Benjamin and Mattias. We live in a small market town called Abergavenny in South Wales in the UK, where I lead the worship team at Gateway Church. I've always written songs, been in bands and sung professionally across the UK. I did this alongside my former day job in journalism. I worked for the BBC for many years, but towards the end of my career in journalism, my songwriting became more prolific and worship-focused as I was able to read my Bible more regularly and it’s the direction God has led me in. Tell us about your debut album that's coming out shortly - are you excited, or nervous, about that? The songs on my debut album ‘Born to Worship’ have been birthed out of time spent with God. The songs are catchy, upbeat and uplifting with simple Biblically-based lyrics, which I hope help people to express their hearts to God in their personal and collective times of worship. I really hope they get heard by as many people as possible as I know where these songs come from and also the impact they’ve had so far whenever we’ve played them. I am simply doing what I feel led to do and have no idea what will happen, so I suppose I’m both excited and nervous! How have the songs been received at your own church? The response has been so encouraging. People seem to pick them up straight away which doesn’t always happen with new songs. It’s always hard sharing your own songs or even putting them forward for consideration. The last thing you want to do is to come across as ‘blowing your own trumpet.’ I think the way ‘Born to Worship’ was written though has helped. As I said above, some of the songs were written following powerful encounters in my own personal worship time and often I felt led to put them forward. The response once I do share them though, often confirms that I’ve heard right and spurs me on to keep on downloading and sharing. Wow, the tough questions keep on coming! It’s a bit like deciding what my favourite chocolate bar is, it can change hour on hour! I’m really pleased with the whole album. There’s no song on it that we’ve done which is a filler song. Every song had to earn its place. But at the moment I think it’s Faithful One. It was written at a time when I was quite low and all I could do was to just trust God. I reflected on who I was putting my trust in with my guitar and notebook in the back garden and it came out of nowhere. When we recorded it, I simply put my sounds down and left my producer to the orchestration. I was blown away when I returned a few days later to hear how the recording had developed. The orchestration is beautiful and captured the essence of the track perfectly. It was an emotional moment, to hear the song as I’d envisaged it in my head played through the studio speakers. The lyrics too just declare the truth of God’s heart for us despite what we feel or fear. It gets me every time. I’m very open minded to collaboration as I think everyone involved can learn so much in the process. There are so many great songwriters out there . . . this is a lot tougher than the last question by the way, some would claim unfair! A few moments with Paul McCartney would be inspirational. However, within worship song-writing, I’d have to pick Martin Smith. I’ve lost count of the number of times I’ve listened to one of his songs and it’s inspired me to pick up my guitar to worship or write a song myself! I love his heart and honesty. I’m not sure what style of music I’d class it as. I like to let others decide. They are just songs people can use to worship God to in meetings big or small. There’s lots of guitars, strings, and electronic elements to the songs, but they are equally effective being played on an acoustic guitar. Some songs have a country vibe, others are more rock or pop. I’ll let others decide. I have quite an eclectic taste in music, but The Beatles, Stones, Kinks etc. were part of my formative musical upbringing, along with Nirvana, the Stone Roses, Oasis, Blur, the Manic Street Preachers, Bluetones and Radiohead. Being from the Welsh valleys heavy metal and hard rock formed part of my musical diet too, although I wasn’t allowed to listen to most of it at first! How would you define success in your career as a singer/songwriter? When I write a song, often on my battered acoustic guitar, I can hear the finished recording, with orchestra, dance loops etc. So, I’d obviously love to be able to bring them to life and record them to that standard. I’m lucky to have found a producer who gets what’s inside of my head and helps me put it onto a record. So, I would love to make the music self-sustaining to enable me to be a recording artist forever, but ultimately if a song I’ve written and sung helps one person to draw closer to God then it’s worth everything it’s cost me and my family to get to this point. Faced with another impossible question ;-) I’ll opt for the first album I bought which I consider to be a modern-day classic - Definitely Maybe - Oasis. . . may give it a whirl after this interview! You're stuck on an island, it's hot, you only have enough battery life left to listen to one song on your phone. What track is it? I assume I’m alone. If so, I’ll opt for Songbird by Eva Cassidy. My wife walked down the aisle to that at our wedding and I can’t listen to it without getting emotional. So, it will remind me of her and keep me motivated. I’m excited about the year ahead. In all honesty I don’t entirely know everything that’s ahead of me, that would be boring. However, there are plans for a tour, which I hope to announce in the next few months. Certainly, more live events. The 2nd and 3rd albums have been written, so we are looking at whether one of those is a ‘live’ album.